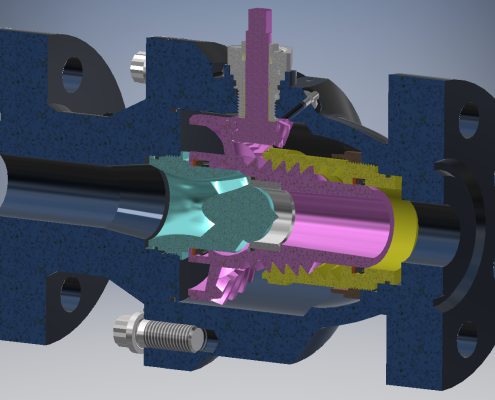 The ideal flow path for a valve can be found in a simple garden hose nozzle. 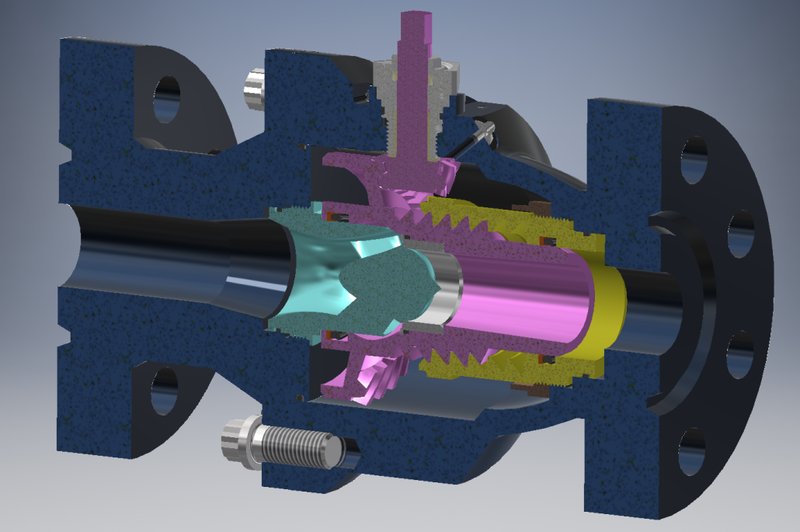 As the body of the nozzle is rotated the spray pattern changes based on the changing internal shape of the restriction. This ideal flow path has not been achieved by any industrial control valve capable of handling over 50 times the pressure found in a garden hose. 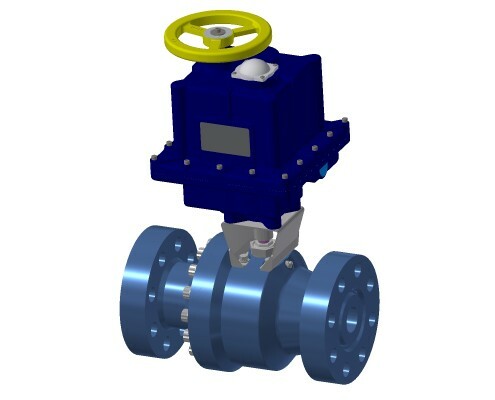 Valves capable of severe service require maintenance to replace internal parts designed as sacrificial or subject to cumulative damage from vibration and actuation loads. 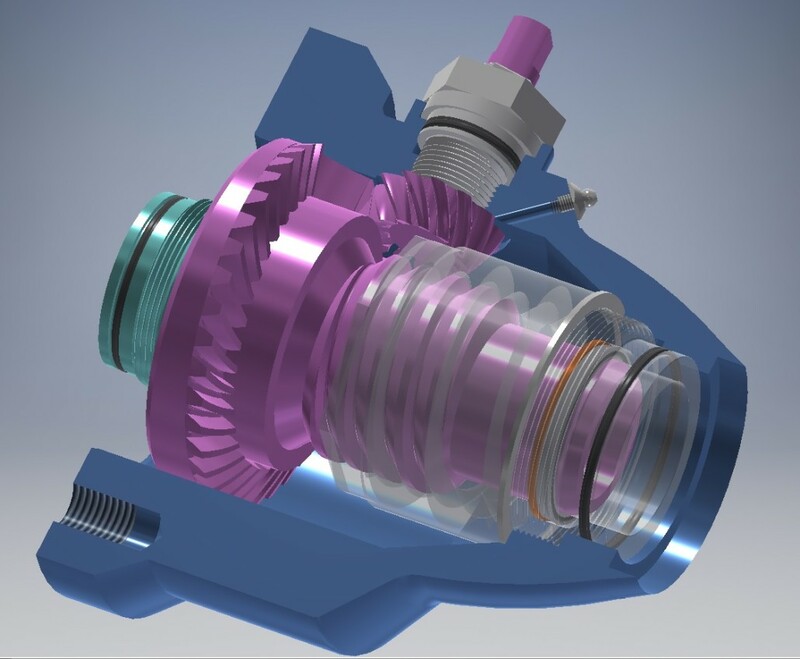 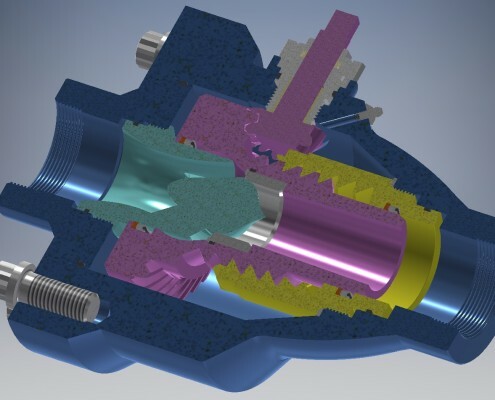 A power-transmission thread can provide the linear force required by the valve and a bevel gear set can transmit rotation from the valve stem to the thread. 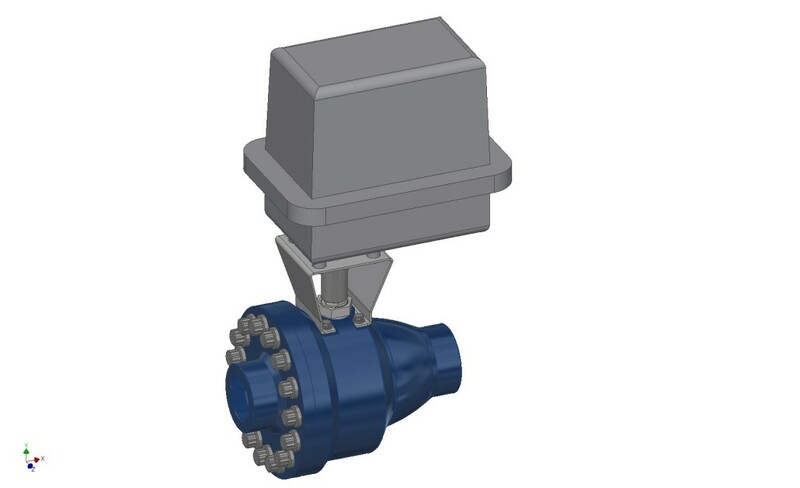 While control valve designs have used these simple mechanical actuation systems, no existing design takes advantage of both in a single valve. 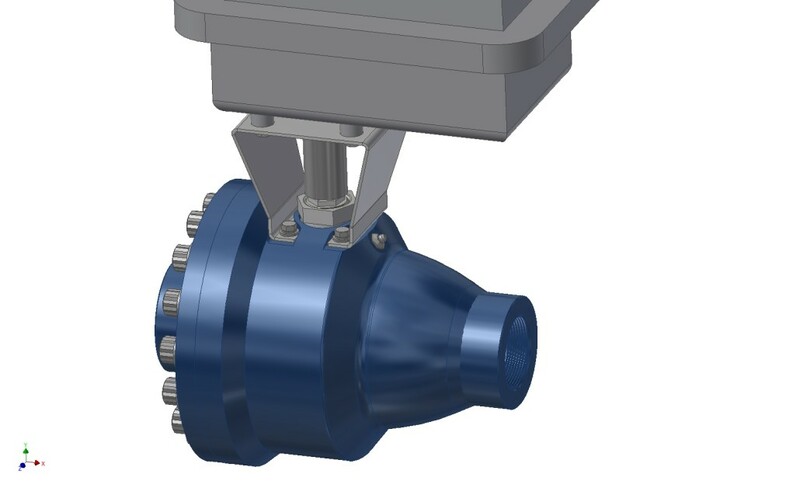 The compound advantage provides better performance than that from the application of either single actuation method. 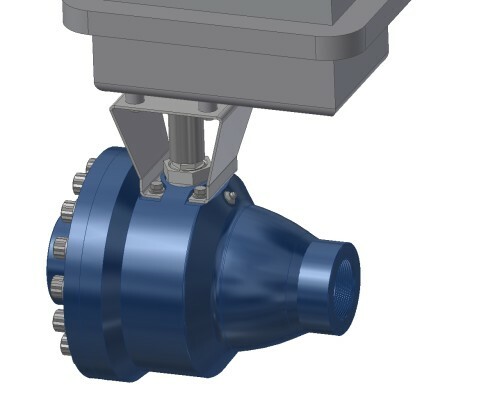 U.S. Patent 9,103,421 describes the invention of a rotary-to-linear actuation system that can be employed in an optimized severe service control valve design. 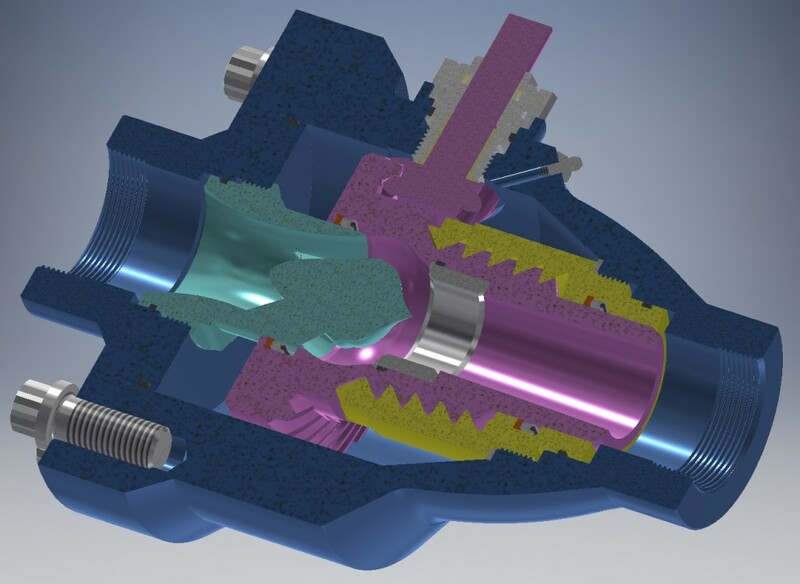 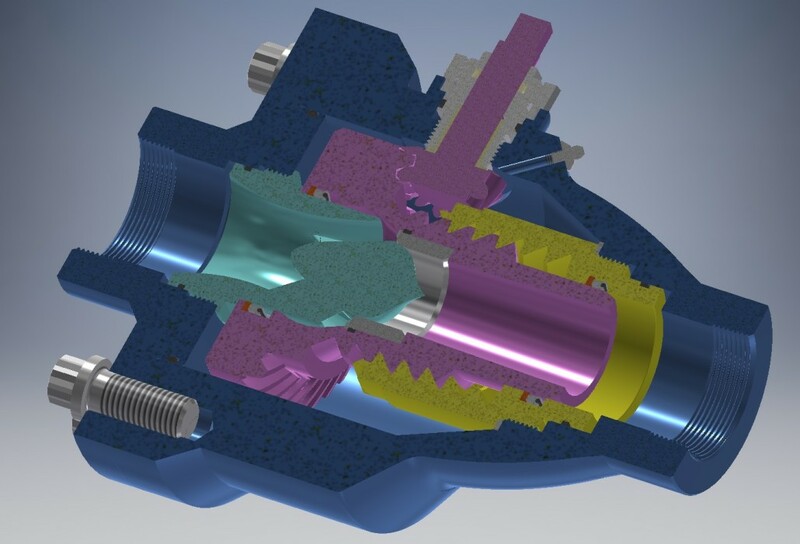 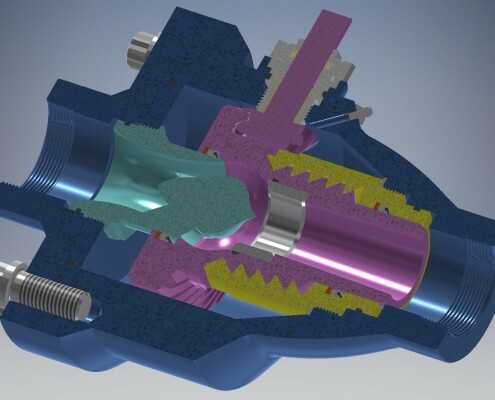 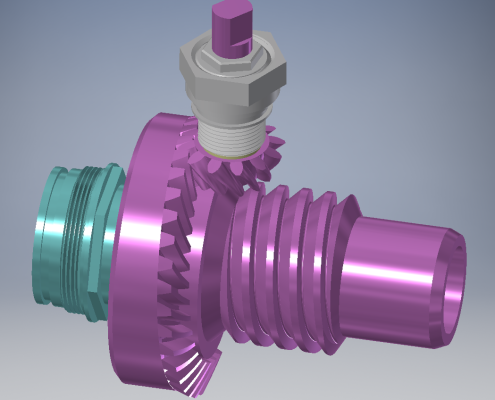 The actuation system is a variation of a conventional bevel gear or ring-and-pinion system. 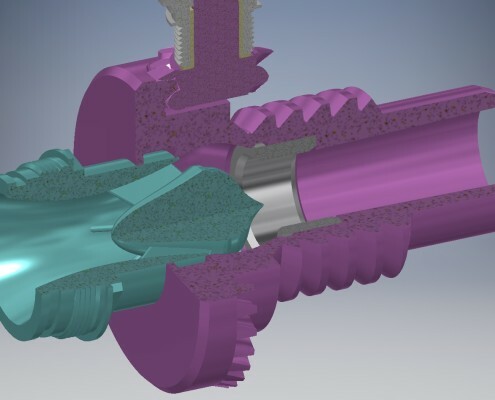 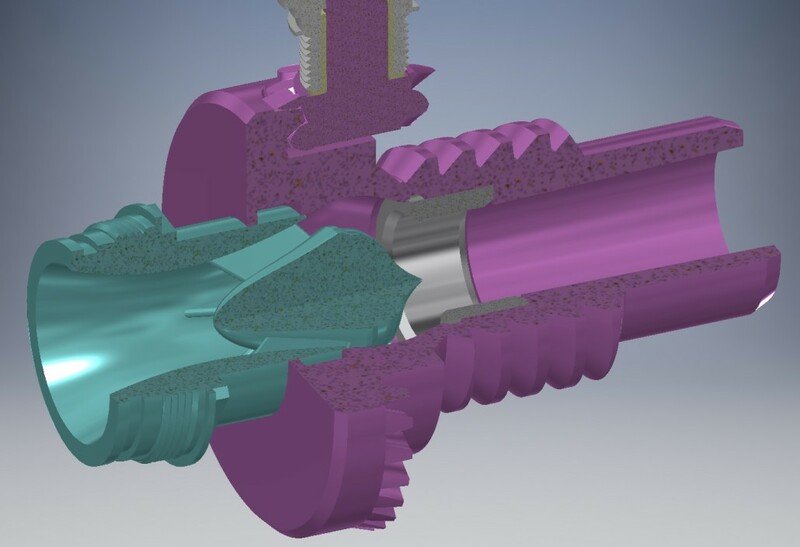 Ring gear teeth around the cylindrical surface of the internal flow-controlling part are projected onto a helix of the same pitch as threads on the part. 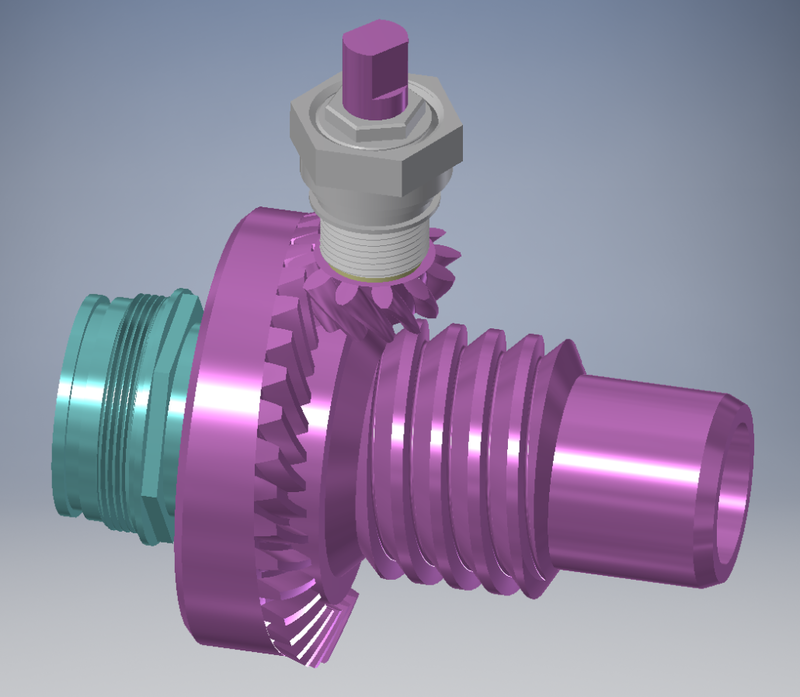 The part advances along the thread helix axis as the stem gear, the pinion, rotates the part. 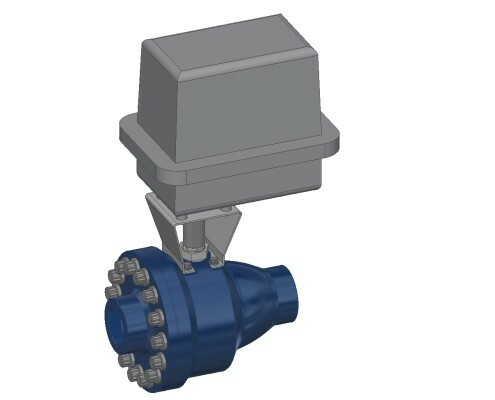 The simple flow path can be shaped to optimize valve performance and reliability that exceeds valves currently available for severe service. 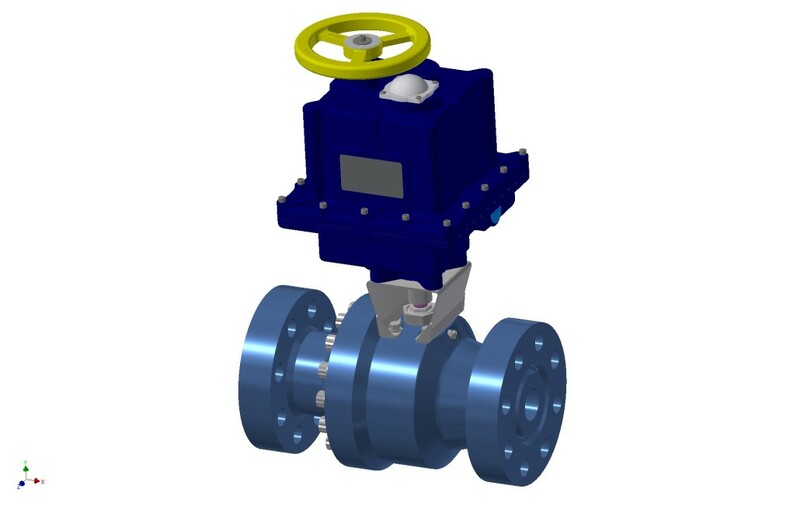 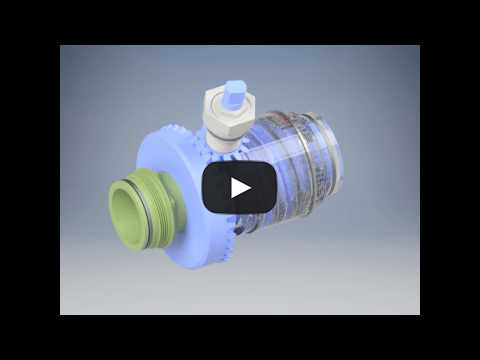 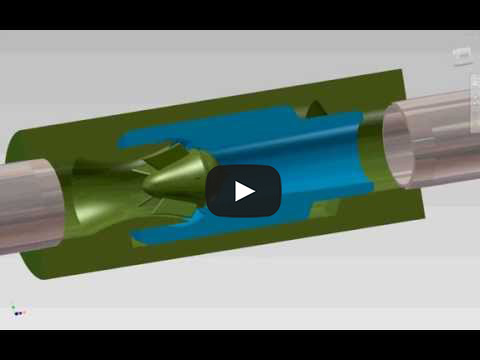 A research team supported by Autodesk and the Ubercloud Experiment performs an extensive engineering simulation of flow testing a severe service control valve with cloud computing resources.